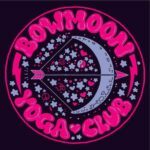 Pregnancy yoga from Bowmoon Yoga Club. 4 week course. Mums to be welcome from 12 weeks. All equipment provided, no previous yoga experience necessary. Wednesday 6.15 – 7.30pm (other times/days to be confirmed based on interest). Please contact Helen for ore info and bookings on 07841 104026 or email helcat79@gmail.com.